Job Store Staffing is seeking a full-time A.M. Dishwasher for a local hospital to maintain their dish area, equipment, and chemicals used in the kitchen. The Dishwasher will maintain clean and sanitized kitchen utensils and service-ware to positively impact speedy and efficient service to our client's guests. Job Store Staffing is looking for someone who is great team player with a good attitude. This is a great opportunity to get your foot in the door! Whitley joined the Job Store Team as a Recruiter in June of 2018. Within the Denver Branch, Whitley enjoys Recruiting for various positions such as Accounting, Administrative roles, Hospitality, and Warehouse jobs. 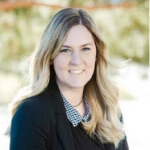 During Whitley’s time with The Job Store, she has been able to build strong relationships with clients, and has had the pleasure of connecting candidates with their ideal positions. When Whitley is not at work, you can find her spending time with family and friends.